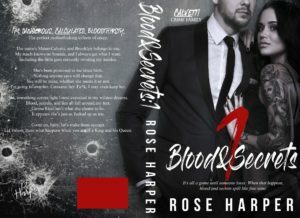 “Blood and Secrets 2”, (The Calvetti Family) by Rose Harper. 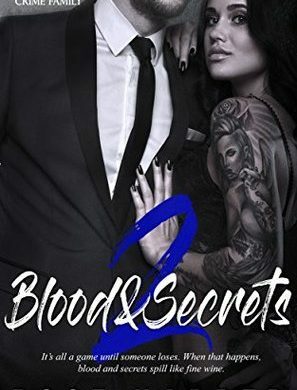 ** Author’s note – Blood and Secrets 2 is a serial in the Calvetti Crime Family Series. Due to strong language and sexual content, this book is not intended for readers under the age of 18. This book contains TRIGGERS, so proceed with caution. OMG Could this series keep getting any better or what. HOLY COW. The Twist, the Turns, the Suspense, the Romance and the down right Thrill of it all is amazing. If you haven’t started this series, I recommend you do so ASAP. The author will take you on a ride you won’t soon forget. The words will fly off the page as you turn them one after another to see what’s going to happen next. 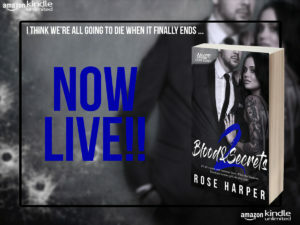 Blood and Secrets is about the children of two families. Mateo is the eldest and in line to run the Calvetti Crime Family. Carina was raised from a small child to be “Reap”, a Stone Cold Killer with no remorse, and one Main Mark. Both are cold and calculating in their own ways and they have been pledged to each other in an arranged marriage to merge the families. However there are plots underfoot Mateo and Carina are not aware of? Who’s is out to destroy who and why? These two have their own agendas but when they come together explosive things happen. 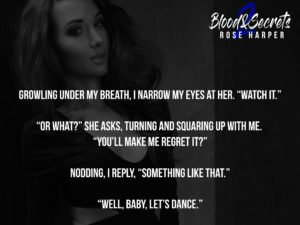 They can fight for control and dominance in the outside world but can they fight the pull to one another? Can Mateo keep Carina and his family safe from the storm that’s coming? Can Carina, REAP, keep true to her training and kill the mark and keep the Mateo and his family safe at the same time? So Many questions. The author has written a thrilling storyline that this reader can’t get enough of. Highly Recommend and looking forward to Blood & Secrets #3.